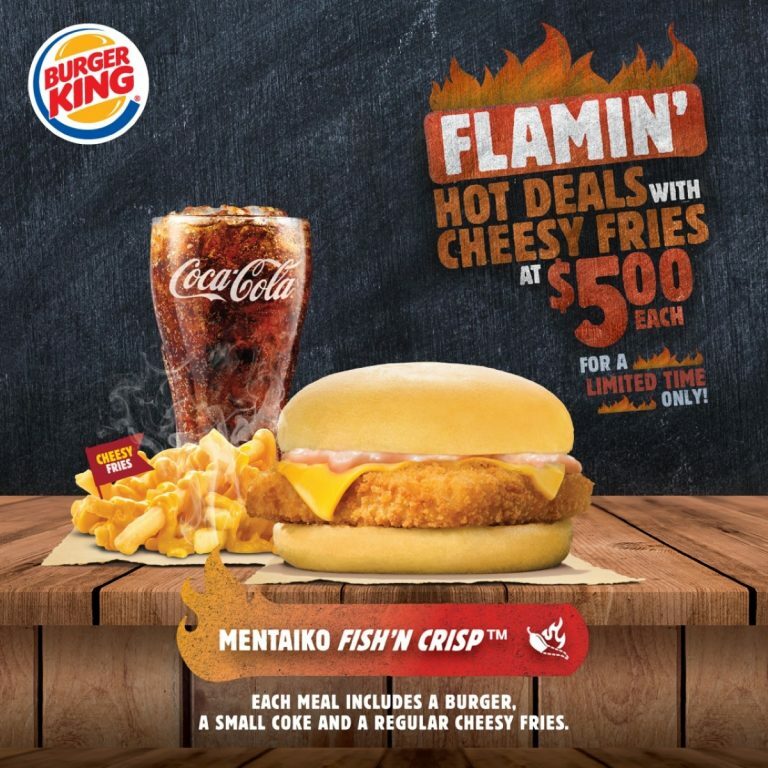 Burger King’s Flamin’ Hot Deals just got hotter with the latest addition – Mentaiko Fish’ N Crisp Burger! Crispy fish patty married with the savoury Mentaiko sauce all sandwiched between two brioche buns, the delight that’s definitely worth your time. Get yours now at #B1-14/14A, available for a limited time only.